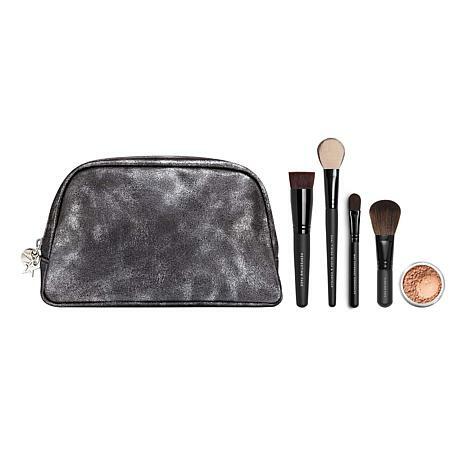 Give your skin a subtle glow and perfect the rest of your look with this 6-piece face powder and brush set from bareMinerals. How to Use The Pure Radiance Face Powder and Flawless Face Brush: For flawless application, use the swirl, tap, buff method. Swirl a small amount of Pure Radiance into the lid with the Flawless Face Brush until the loose minerals are tucked into the bristles. 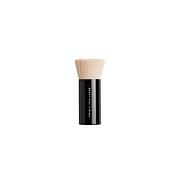 Tap the side of the lid with the side of the brush to tap off any excess loose powder. Buff the radiance makeup onto skin in a swirling, circular motion anywhere you want a peachy glow; try applying to your forehead, hairline, cheeks and the bridge of your nose. Buff and blend the color in for seamless application. How to Use the Maximum Coverage Concealer Brush: Use the brush to pat or tap concealer directly onto imperfections, then blend around the covered area. How to Use the Dual Finish Blush & Contour Brush: Use the firmer, tapered light side of the brush to apply color and cream-based products. 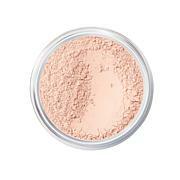 Use the soft and fluffy darker fibers for loose and pressed powder products. Use the two sides together as the perfect contouring tool. 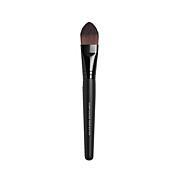 How to Use the Perfecting Face Brush: Drop 1-2 drops of foundation into the fluid reservoir of the Perfecting Face Brush. Buff onto the skin in a circular motion. To increase coverage, add drops and repeat the buffing application. 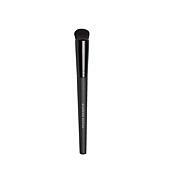 Love bare minerals brushes, the makeup bag was not as pretty but it has plenty of space. The pure radiance is definitely a plus!! !